Learn the benefits and techniques of infant massage with your newborn. New moms and dads attend this class to learn the benefits and techniques of infant massage with your newborn. Infant massage can enhance all areas of parent-child bonding through close physical and emotional interactions. The class is designed for a participant and a newborn, 6 weeks through 6 months of age. The class is open to anyone who will take care of a newborn, including parents, grandparents and caretakers. There will be an opportunity for questions and answers and a free booklet will be provided to participants who attend the class. This class is offered at a discount for Sharp HealthCare employees. Please call 1-800-82-SHARP to register. If you need to cancel your registration for this event, please call 1-800-827-4277 Monday through Friday, 7 am to 7 pm, or log in to your account to cancel online. A fee of $10 will be deducted from the amount paid if you cancel your registration less than 3 days before the event. 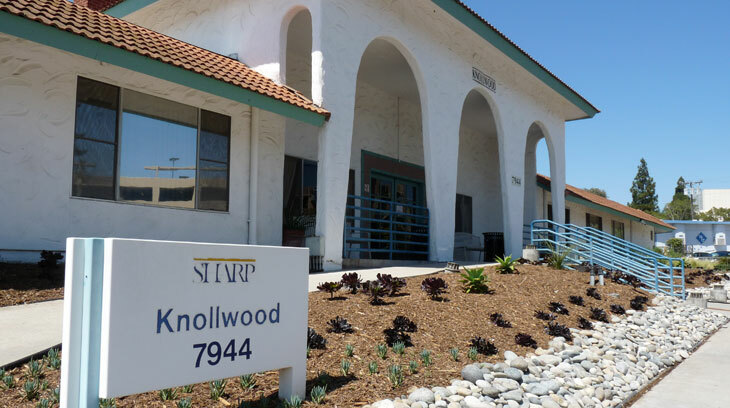 Visitors may park on the street in front of the Knollwood Building or in the lot with signs that read “Sharp Cardiac/Pulmonary Patient Permit Parking Only." This lot is located on the corner of Meadow Lark Drive and Birmingham Way. If you registered using the City of San Diego employee discount, please remember to bring your employee identification badge with you to class. This class requires one registration/payment per couple. If the minimum class size requirement is not met, you may be contacted regarding a cancellation or to reschedule. The Knollwood Building is a secure facility. Please plan to arrive early to ensure that an attendant can be there to allow you to access the building.